Tractors, Trailers, and RVs Too! (952) 469-8484 •21178 Kenrick Ave.
Top quality truck, RV, lake vehicle and show truck washing. We are a semi automated truck wash for all of your truck washing needs, including: Trailer / Hopper Washout, Garden Washout, Rim, Rail and Tank Citrus, Engine Wash, Stack Wash, Underbody Wash and much more! 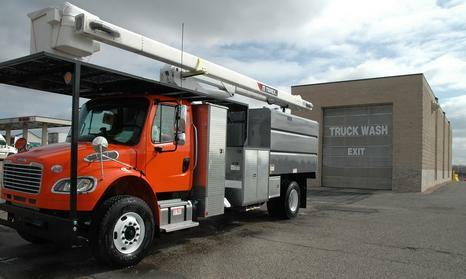 Stop in to Lakeville Truck Wash or give us a call. IMPORTANT: If you are hazmat please call us before you visit us. Any vehicle we deem to be a hazard to our staff or the building. * If you expect to arrive after regular business hours, please call in advance and we will do our best to accommodate you with an appointment.